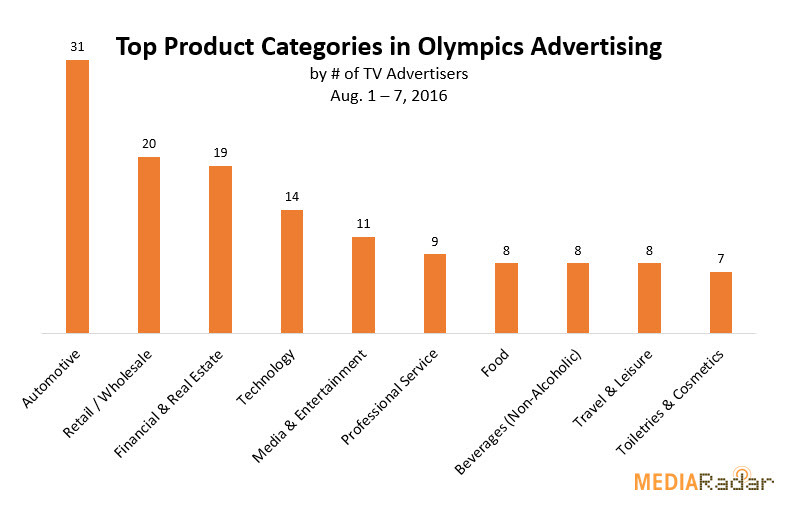 Based on data from NBC and aggregated stats from more than 6,000 websites, MediaRadar is evaluating the kinds of placements Summer Olympics advertisers are buying across TV and digital mediums. Exact dollar figures are not available, but the tech company's thorough methodology (find a full explanation at the bottom of this page) suggests this is an accurate glimpse into brands' spending activity. Here are a handful of key takeaways from the research, which looked at TV, display, native, digital and mobile ads (but not radio or billboards) from the past week. 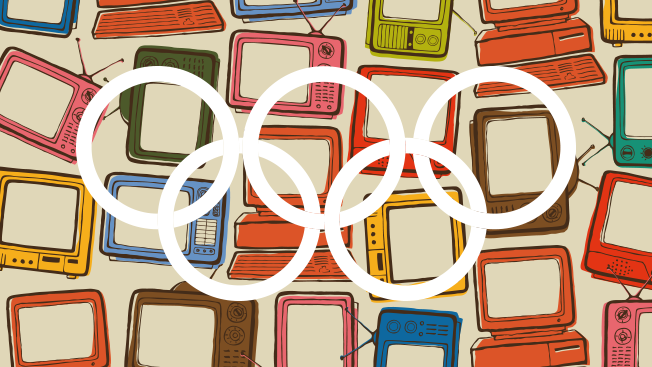 DirecTV, Progressive Insurance, Chrysler and Geico had the greatest number of TV spots during the opening weekend of the Olympics. Ten brands were active in all media formats (TV, display, native, digital and mobile). Notables include Geico, Verizon Fios, Walmart, Lincoln, Nationwide and Dunkin' Donuts. The most active category among advertisers was auto. Forty-four brands have placed native ads so far. Visit Orlando, which ran just one TV spot, ran ads on more websites than any other marketer, a total of 209 placements. Chevrolet, Walmart, Verizon Fios, Zenni Optical, Staples and AT&T Mobility bought ads for more than 100 websites. Progressive, Geico, Toyota Motors Sales Events and LendingTree came relativity close to the century mark. 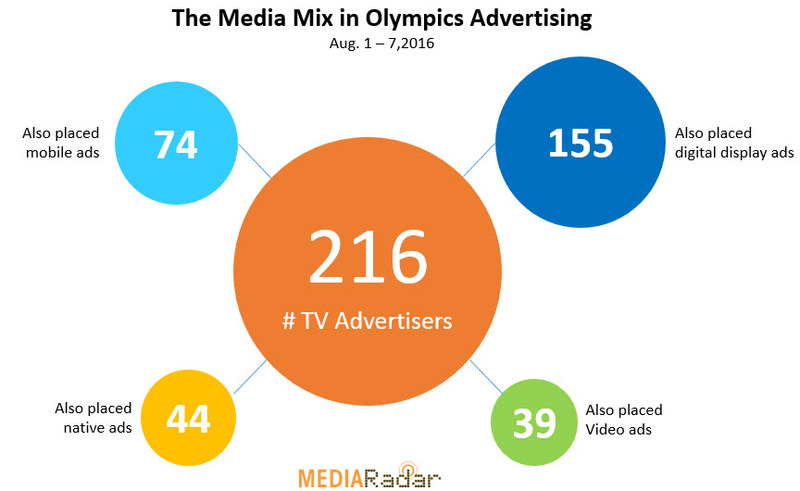 MediaRadar's system can reasonably estimate TV ad buys through client data and extrapolation. Its methodology for measuring digital buying is more nuanced and relies on a proprietary program called Placement Score, a composite score that weighs different elements of an online buy to help determine its scale and size. Such elements include ad type, location, density on the page, media format and frequency of a campaign. Each is assigned a value that's calculated into the overall Placement Score. The metric is designed to help you compare size of buy between advertisers or a brand's spend on competing websites. According to MediaRadar, native and video efforts—or campaigns with higher viewability—will be weighted larger than standard box or run-of-site banner ads. So, for example, if Advertiser A has a Placement Score of 20,000 and Advertiser B has a Placement Score of 10,000, you can make the assumption that Advertiser A spent twice what Advertiser B did in the same time frame.